The Spyro Reignited Trilogy has arrived, and after 17 long years, I’m finally going to finish a game that has eluded me for the longest time. This is the story of my journey with Spyro: Year of the Dragon. Spyro: Year of the Dragon (the last game in the original trilogy) has always been and always will be my favourite Spyro game in the series. 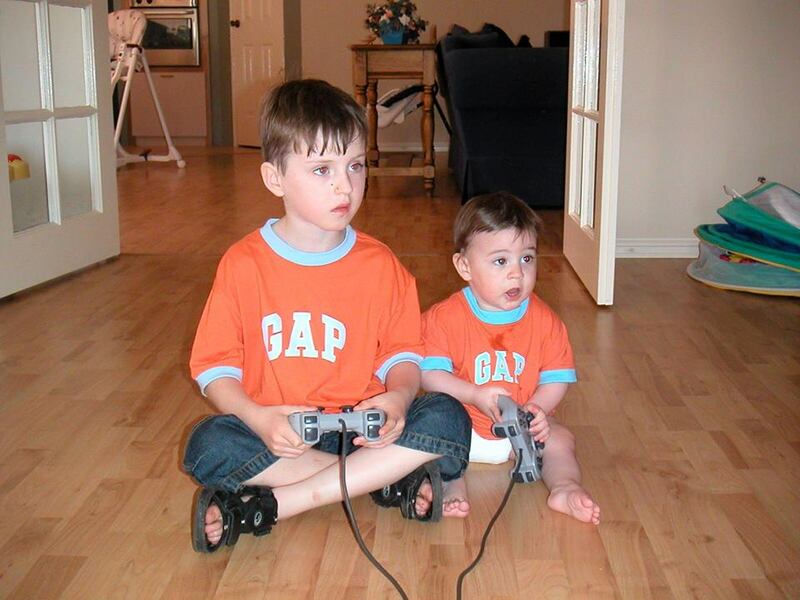 I was gifted the game by a family friend in early 2001, and at four years old I was completely enamoured by the beauty of the game. Each world you would travel to on your journey was distinct and had its own aesthetic and set of colours, and the worlds were further brought to life by the charming bunch of critters that lived in each locale. The same smooth and enjoyable gameplay from the previous Spyro games was here, alongside some additional new characters to play as, which I recollect some people not enjoying, but I undoubtedly loved it. From Sheila the Kangaroo to Bentley the Yeti, they were all great fun to play and were a charming and lovable crew of playable characters. 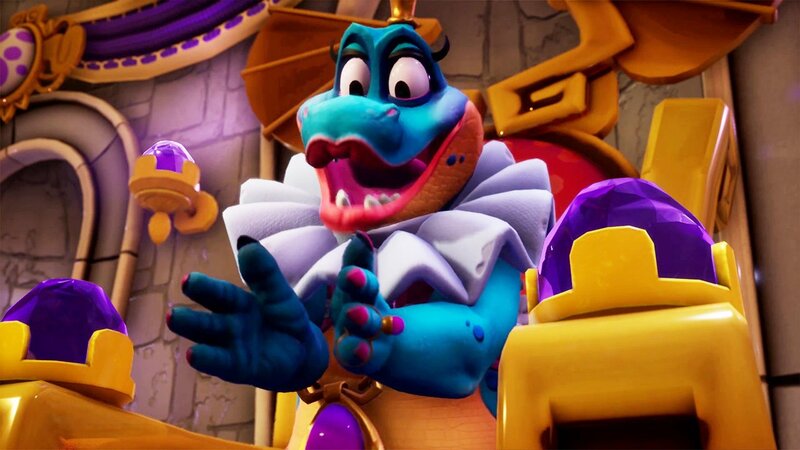 Spyro 3 was quickly becoming one of my favourite games of all time, however this feeling of immense love and reverence immediately soured upon reaching the game’s final boss known as the Sorceress. Four-year-old me was eager to finally be rid of the Sorceress, a villain I had a deep hatred for. I tried to figure out what needed to be done to damage her, and as I finally gained access to the cannon required to defeat her, she attacked me with a spell from her wand, causing the screen to go black, before warping me back to Sunrise Spring, the original hub world at the start of game with 0% completion. I sat there completely perplexed. What had just happened? Did the game have some sort of weird crash? Or was the Sorceress simply powerful enough with that wand of hers to render the memory stored on my memory card invalid? Four-year-old me solemnly believed that it had to have been some sort of error, so after cleaning the tears off my face, I remained upbeat about the reality that I had to make my way back to the Sorceress from square one. Weeks passed, and I made my way back to the now infamous boss battle, and despite feeling like I lasted a little longer against the Sorceress, she zaps me and my file is erased again. Arriving back in Sunrise Spring, yet again devastated and reduced to tears by one of my favourite games. I decide to approach Zoe, only for her to tell me one of the most bizarre and fourth wall breaking things I had ever seen in a video game up to that point in my life. 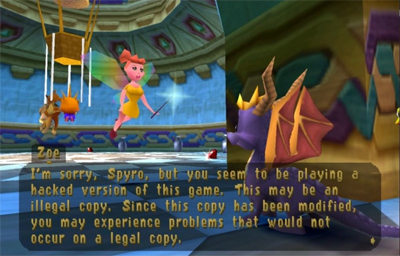 Zoe told Spyro that he was playing a pirated copy of the game, and that issues would occur on this copy that wouldn’t on a legal copy. I was completely shocked. I wasn’t a victim of the immense power of the Sorceress, I was the victim of a pirated game. Spyro: Year of the Dragon for those who don’t know, was a title renowned for its anti-piracy protection, which led to the game being far more difficult to crack than other games coming out at the time. 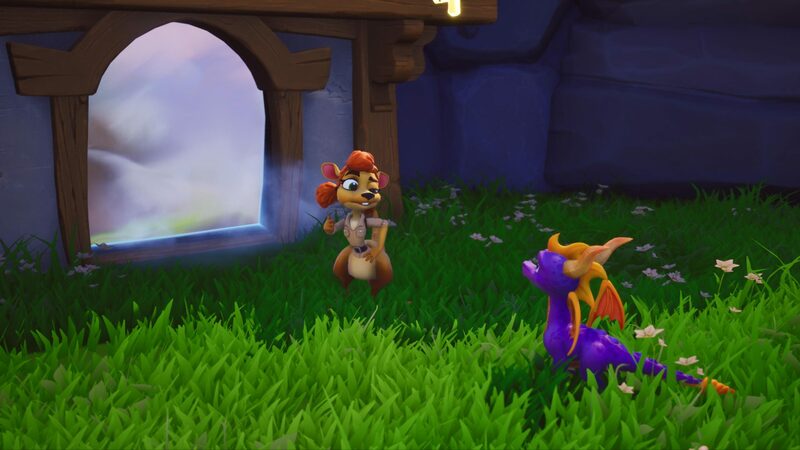 Insomniac and Sony had seen Spyro 2: Ripto’s Rage (known as Spyro 2: Gateway to Glimmer in Europe and Australia) hacked almost immediately upon release, and we’re keen to implement crack protection in the hopes that Year of the Dragon wouldn’t suffer the same fate. You can read more in detail about why Year of the Dragon was so difficult to crack here, but for now, back to my story. After realising that I was never going to be able to finish Year of the Dragon with the copy I had, I decided to cut my losses and just forget about it, but despite doing that, the desire to beat the game remained. That burning desire still remains today, because I still have never gone back to the game to finish it. I’m still not quite sure how to defeat, nor do I know what happens in the story after you defeat her, I have the exact same knowledge of the game I did back in 2001. Will I ever defeat this damn game? I bought the trilogy on the PlayStation Store a few years back in the hopes of finally completing it, but school got in the way and I put it off. With the PS3 safely tucked away in storage as the PS4 asserted itself as a modern generation console, it seemed that the opportunity to finally roll the credits of Year of the Dragon had yet again eluded me. 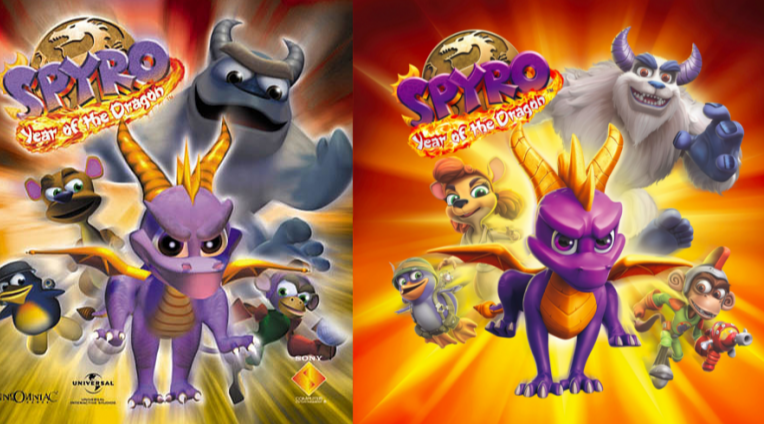 That was the case up until early this year, when Activision announced that the original Spyro trilogy was going to be remastered and released as the Spyro Reignited Trilogy. Upon its announcement I made a pledge to myself – the Spyro Reignited Trilogy would see me finally complete Spyro: Year of the Dragon. I will still be playing through the games in the Reignited Trilogy in order of release, before finally conquering Year of the Dragon, which I feel may become one of the most satisfying endings to a game I will ever experience, considering it is 17 years in the making. At 21 years old, I will finally slay the antagonist of a game I played religiously at the age of four, and to be honest, I’m pretty damn excited about it. Although I can’t wait to beat the game and have that feeling of accomplishment that my dodgy pirated copy robbed me of in my childhood, I’m mainly just excited to revisit Spyro and friends again, not just in Year of the Dragon, but in all three games. P.S. Spyro is better than Crash.